Headphones have standardized on left cup for the wire. Currently all MacBooks and Pros ship with the “Default” resolution set above “Best for Display” native 2X resolution and scaled down. MacBook screens are so far below the 440ppi of the iPhones Plus that I can see this and it’s really not a good experience. These are coupled because the iPhone X’s OLED pixels are not RGB stripe, but are RG+BG across every two pixels. At the same 2X, this is an overall reduction in resolution, but at 3X it’s comparable/better. A ~13″ 4K Panel would be 1280@3X=3840 Pixels wide. All models can drive 4K60 Wide Color output so this is not an unreasonable ask for the onboard display. The most important feature of this hub outside of its reliability compared to third party offerings should be that both the power cable and the cable to the MacBook are removable and interchangeable. Alternatively, if it only has one USB-C/TB3 port to the MacBook and the unit itself doubles as the standard power brick. Even with today’s news that this year’s releases will focus on stability over features, there are still some things I want to see, even if they have to wait until 2019. Control Center unification across all iPhones and iPads. There are three different ways to get to control center now and my brain is annoyed by this. Proper system level dark mode on macOS and iOS with some way to tell if an OLED or LCD, perhaps via a system color to query to use as view back color so we all use the same grey/graphite on LCD. 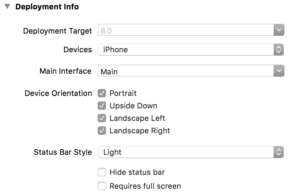 iOS app development on iOS. Xcode for iPad but not necessarily Xcode for iPad. Just one: I want single orientation single device non-multitasking apps to go away. If the fate of the iPad mini is to be eaten by the Plus sized phones then landscape support for apps needs to be mandatory. Similarly if Apple wants iPad Pros to happen iPad multitasking needs to be mandatory. Too many apps still (in addition to not supporting the Pro size iPad) don’t support multitasking sizes. Edge cases? Well, I’ll accept that games don’t need to support multitasking, but I won’t accept that games don’t need to figure out what to do in both orientations. Even if it’s a lazy letter boxing that’s still the preferred behavior. 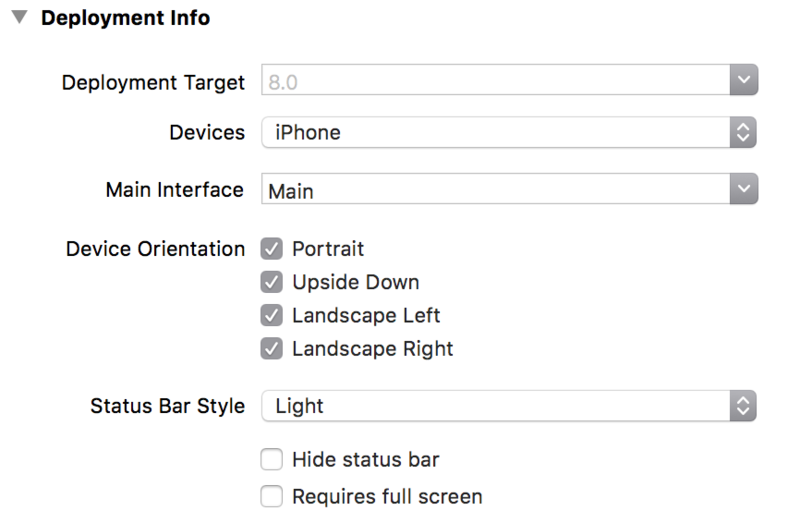 Remember when you couldn’t watch Landscape video in portrait in Safari? I don’t expect this. I expect the tyranny of portrait iPhone apps and landscape non-multitasking iPad apps to reign well into the iOS 11 era. For the longest time, OS X had a battery menu extra that used the following method of estimating battery life remaining on a machine: Current Remaining / Current Draw (then converted to HH:MM format). This worked reasonably well for a long time but recently became less accurate. In the PowerPC days the processor operated at one or two clock speeds and your CPU use didn’t change that often. In the early Intel days, this was still true. Whatever you were doing at the moment the system asked the battery what was up was fairly constant. If a high CPU use app finished (or one started) or you changed the screen brightness you could see the new estimate in a minute or so and it would be accurate for the most part assuming all tasks continued. Today’s Intel chips and the current scheduler in macOS are far less predictable. The multicore processors are constantly changing clock speed and number of active cores. Hell even since Snow Leopard the system has been using different amounts of power based on the frequency of keypresses. Many uses for power are a lot less consistent than they used to be and with ever more efficient backlights formerly significant sources of power are now less as a fraction of overall power. These combined to make current power draw at any given moment “inaccurate” in the sense that it might be measuring during an extremely short spike (which would give a significantly lower estimate for time remaining) or between periodic spikes (which would give a slightly high estimate). There is a way to get a better estimate though and I hope Apple gets around to it. The draw needs to be polled much more often and the number used for calculation has to be a rolling average. There’s an API for this but this isn’t something that should be left to third parties, even if I’m one of them. 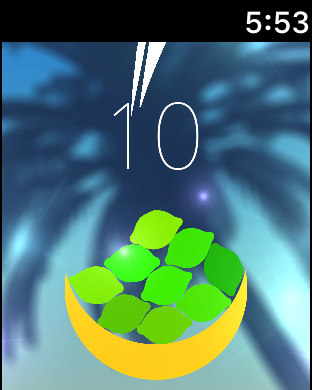 Today I’m pleased to announce the launch of my first watchOS game: Too Many Limes. 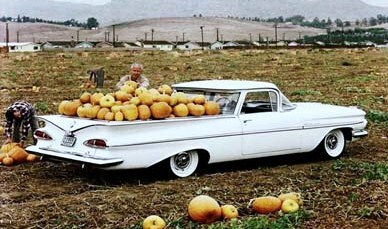 In the era where Macs are compared to trucks and iOS devices are compared to cars, Apple currently only sells cars and the 1959 El Camino is what they’re calling a truck. Sure, it has a flatbed (macOS / OS X), but it doesn’t have a truck suspension, a trailer hitch, or a frame you can attach a snowplow to. But it still snows in New England. The messaging on Apple’s color choices for the new MacBook Pro is pretty clear: “Boy or Neutral”. My wife, who desperately needs to replace her 2008 MacBook, decided not to buy after the announcement yesterday when she realized that the Pros don’t come in the same gold that the MacBook comes in. She’ll be waiting for a Gold Pro update or at least a MacBook update with Thunderbolt 3 and a Wide Color display. I urge all my readers in the market for a new Mac who want to match their Gold or Rose Gold iPhones or iPads to continue to wait also. I’m also disappointed that they’re Space Gray instead of Black. When the retina MacBook was released, I thought it was a sign that Apple was returning to their Steve Jobs Product Square: laptops and desktops on one axis, pro and consumer on the other. As the Intel transition completed, Apple had added the MacBook Air and the Mac Mini which no one really knew if they were consumer or pro. Then they stopped updating things. Right now on the desktop side Apple offers an iMac updated a year ago and a Mac Pro and Mac Mini that haven’t been updated in 3 years. So what the hell is the pro desktop? The 5K iMac? Not if you want symmetric wide color displays. For that you either need the 15″ MacBook Pro (for dual 5K) or the 13″ MacBook Pro or believe it or not the 2013 Mac Pro but you’re limited to 4K. The Pro vs Consumer line on the laptops isn’t any clearer. The 12″ MacBook with its tiny CPU remains in my opinion a great machine only for users like myself who also have a desktop. That sounds more Pro than Consumer. It’s an accessory for your Mac Pro. The best consumer machine by price and spec is the confusingly named 13″ MacBook Pro without the Touch Bar. It has a 15 Watt CPU, which is a lot more power than the 5 Watt MacBook, but nowhere near the 29 Watt 13″ Pro with Touch Bar or the much higher 15″ model. The fact that both 13’s have the same battery rating is probably indicative of light testing where screen brightness and other constants are the top power draws. 10 hours is more like a maximum for the Touch Bar model and more like a promise for the non Touch Bar model (someone please save us from these names). The 13″ with Touch Bar is kind of a terrible machine for all. It has more CPU than the non Touch Bar but only a little bump in Intel Integrated GPU. It has no discrete graphics option. Anyone who buys this for the Touch Bar will probably be disappointed in the lack of battery life it has due to the beefy CPU randomly going up to that full 29 Watt ceiling when decrypting Xcode Betas or crunching through some video task better left to the discrete GPU it doesn’t have. With the extra port bandwidth you can drive more external displays but you’ll probably observe sub-60 frame rates in the GUI and have a lot of fan noise. And if all this wasn’t confusing enough to buyers, old Airs and Retina Pros are still being sold in the same section of their website without having to dig into refurbs and clearance. If there’s one thing USB C has over MagSafe it’s the lack of licensing required for third party charging solutions. Since getting the original USB C MacBook I immediately discovered that it would happily trickle charge or at the very least use less net battery power while plugged into USB 2 chargers with appropriate cabling. Now, finally, I’m testing a third party device specifically for charging the MacBook. Passthrough charging. You can use the battery as a charging hub while it is plugged in. Single USB C port is bidirectional just as you’d expect. 15-18W Max means it doesn’t have quite enough power to provide a net charge to the MacBook under heavy load such as rendering with a mostly dead battery. Auto Shutoff, which is an important safety feature in light of what Samsung has been going through lately, may kick in before a completely dead MacBook or iPad Pro 12.9″ is completely recharged. No Flashlight like the Jackery Giant has. Not a deal breaker, but it’s nice to have an extra use case for this giant battery. Weight: Batteries weigh what they weigh. The math says that this should be able to charge a MacBook almost 4 times or about 2 times for the 12.9″ iPad Pro (did you know the iPad Pro 12.9″ had twice the battery of a MacBook? I didn’t until I looked it up for this review). Or 6 iPhone 7 Plus charges or 12 iPhone SE charges. Depending on what you’re needing it for, it’s extremely plausible that you could use it for an entire week without needing to find an outlet. I know it seems trivial, but the fact that you can use the battery as a USB charging hub while it is plugged in is extremely convenient. I took an Anker Powercore to WWDC with me and it had this limitation, meaning I could not top everything off at once at the hotel without finding additional outlets. For this singular reason I’m demoting the Anker behind the Titan for situations where I could handle the weight of one of them but not both (such as a conference). As an aside, I would like to point out that unlike academic conferences power was plentiful at WWDC. I never had to fight for a seat with an outlet and believe me WWDC is crowded. The Qualcomm port is awesome if you have a device that can use it. I don’t, unfortunately as Apple has not yet developed a similar feature. I will note that rapid charge can count as putting an extra charge cycle on the receiving battery so I’m not sure how much I really want this feature until that’s been resolved. I can’t overstate how delightfully simple the bidirectional nature of USB C is. It frustrates me how much of an Alphabet Soup of cable types have to travel with me considering they’re all USB. Overall my only complaints are that while 15W is plenty to charge a MacBook while using it, it’s still less than the Maximum theoretical draw of 30W. If you’re going to charge a MacBook and an iOS device I recommend you connect the iOS device to one of the other ports on the device instead of to something like the Digital Multiport Adapter connected to the MacBook. If you try to debug an iPad while using the battery as a power source you may see either the MacBook and/or the iPad in the dreaded “battery is not charging” state where you may not be losing any battery power but you’re not recharging either. If Jackery is listening (this is not a review unit. I’ll disclose up front if I ever review something I’ve received for such purposes) I’d like to see a flashlight in this model with WARM white LEDs and a new version with only USB C ports on it. Way of the future. Recommendation: Obvious Buy for owners of USB-C charging MacBooks, laptops, tablets, smartphones, etc. There isn’t too much competition in the native USB-C space yet and giant batteries are a scary product to buy from a no name company but I’ve come to trust Jackery products not to burst into flames.